1. Abrams P, Cardozo L, Fall M, et al. The standardization of terminology of lower urinary tract function: Report from the standardization sub-committee of the International Continence Society. Neurourol Urodyn 2002;21:167-178. 2. Arnold EP, Burgio K, Diokno AC, et al. Epidemiology and natural history of urinary incontinence (UI). In: Abrams P, Khoury S, Wein AJ, eds. Incontinence. Plymouth, UK: Plymbridge Distributors; 1999:199-226. 3. Brown JS, Nyberg LM, Kusek JW, et al. Proceedings of the National Institute of Diabetes, Digestive and Kidney Diseases International Symposium on Epidemiologic Issues in Urinary Incontinence in Women. Am J Obstet Gynecol 2003;188:S77-S88. 4. Rovner ES, Wyman J, Lackner T, Guay DRP. Urinary Incontinence. In: DiPiro J, Talbert R, Hayes P, Yee G, Matzke G, Posey LM, eds. Pharmacotherapy: A Pathophysiologic Approach. 7th ed. New York: McGraw-Hill, 2008:1399-1415. 5. Groutz A, Gordon D, Keidar R, et al. Stress urinary incontinence: Prevalence among nulliparous compared with primiparous and grand multiparous premenopausal women. Neurourol Urodyn 1999;18:419-425. Abrams P, Cardozo L, Khoury S, Wein A, eds. Incontinence. Second International Consultation on Incontinence. 2nd ed. Plymouth, UK: Health Publications Ltd, 2002. Kafri R, Langer R, Dvir Z, et al. Rehabilitation vs drug therapy for urge urinary incontinence: Short-term outcome. Int Urogynecol J 2007;18:407-411. Kafri R, Shames J, Raz M, et al. Rehabilitation versus drug therapy for urge urinary incontinence: Long-term outcomes. Int Urogynecol J Pelvic Floor Dyfunet 2008;19:47-52. Shamliyan TA, Kane RL, Wyman J, et al. Systematic review: Randomized, controlled trials of nonsurgical treatments for urinary incontinence in women. Ann Intern Med 2008;148:459-473. Chapple C, Khullar V, Gabriel Z, Dooley JA. The effects of antimuscarinic treatments in overactive bladder: A systematic review and meta-analysis. Eur Urol 2005;48:5-26. Novara G, Balfano A, Secco S, et al. A systematic review and meta-analysis of randomized controlled trials with antiimmunocarcinic drugs for overactive bladder. Eur Urol 2008;54:740-763. Hofner K, Burkart M, Jacob G, et al. Safety and efficacy of tolterodine extended release in men with overactive bladder symptoms and presumed non-obstructive benign prostatic hyperplasia. World J Urol 2007;25:627-633. Ortho-McNeil Pharmaceutical. Ditropan XL (oxybutynin) package insert. Raritan, NJ: Ortho-McNeil Pharmaceutical, 2008. Pharmacia & Upjohn. Detrol and Detrol LA (tolterodine) package inserts. New York: Pharmacia & Upjohn, 2005. Watson Pharma. Oxytrol (oxybutynin transdermal system) package insert. Corona, CA: Watson Pharma, 2003. Odyssey/Indevus Pharmaceuticals. Sanctura (trospium chloride) package insert. East Hanover, NJ/Lexington, MA: Odyssey/Indevus Pharmaceuticals, 2004. Astellas Pharma U.S. VESIcare (solifenacin) package insert. Deerfield, IL: Astellas Pharma U.S., 2004. Novartis. Enablex (darifenacin) package insert. East Hanover, NJ: Novartis, 2004. Guay DRP. Drug forecast: Solifenacin (VESIcare): An investigational anticholinergic for overactive bladder. Consult Pharm 2004;19:437-444. Guay DRP. Trospium chloride: An update on a quaternary anticholinergic for treatment of urge urinary incontinence. Ther Clin Risk Manag 2005;1:157-166. Guay DRP. Darifenacin: Another antimuscarinic for overactive bladder. Consult Pharm 2005;20:424-431. Sink KM, Thomas J 3rd, Xu H, et al. Dual use of bladder anticholinergics and cholinesterase inhibitors: Long-term functional and cognitive outcomes. J Am Geriatr Soc 2008;56:847-853. 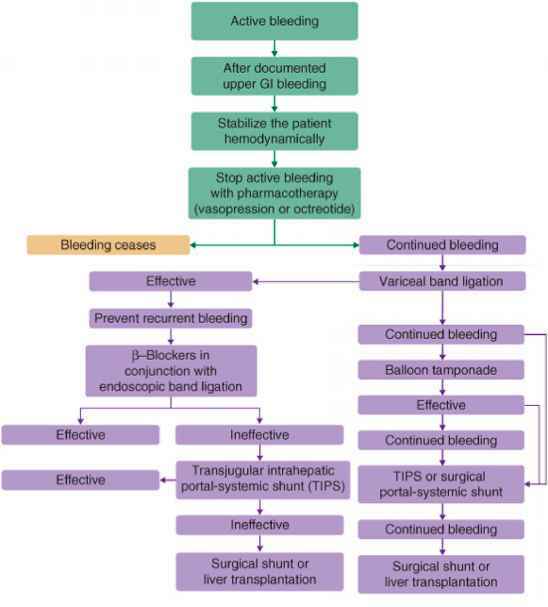 Hashim H, Abrams P. Novel uses for antidiuresis. Int J Clin Pract 2007;(Suppl 155):32-36. Steers WD, Herschorn S, Kreder KJ, et al. Duloxetine compared with placebo for treating women with symptoms of overactive bladder. BJU Int 2007;100:337-345. Peyromaure M, Ravery V, Boccon-Gibod L. The management of stress urinary incontinence after radical prostatectomy. BJU Int 2002;90:155-161. Filcamo MT, LiMarzi V, DelPopolo G, et al. Pharmacologic treatment in postpro-statectomy stress urinary incontinence. Eur Urol 2007;51:1559-1564. Kernan WN, Viscoli CM, Brass LM, et al. Phenylpropanolamine and the risk of hemorrhagic stroke. N Engl J Med 2000;343:1826-1832. Owens RG, Karram MM. Comparative tolerability of drug therapies used to treat incontinence and enuresis. Drug Saf 1998;2:123-139. Guay DRP. Duloxetine. The first therapy licensed for stress urinary incontinence. Am J Geriatr Pharmacother 2005;3:25-38. Fraser MO, Chancellor MB. Neural control of the urethra and development of pharmacotherapy for stress urinary incontinence. BJU Int 2003;91:743-748. Burgard EC, Fraser MO, Thor KB. Serotonergic modulation of bladder afferent pathways. Urology 2003;62(Suppl 1):10-15. Eli Lilly & Co. Cymbalta (duloxetine) package insert. Indianapolis, IN: Eli Lilly & Co, 2004. Filocamo MT, LiMarzi V, Del Popolo G, et al. Pharmacologic treatment in post-prostatectomy stress urinary incontinence. Eur Urol 2007; 51: 1559-1564. Duckett JR, Vella M, Kavalakuntla G, et al. Tolerability and efficacy of duloxetine in a nontrial situation. BJOG 2007;114:543-547. 35. Fritz G, Rockney R, Bernet W, et al. Practice parameter for the assessment and treatment of children and adolescents with enuresis. J Am Acad Child Adolesc Psychiatry 2004;43:1540-1550. 36. Hjalmar K, Arnold T, Bower W, et al. Nocturnal enuresis: An international evidence based management strategy. J Urol 2004;171(6 pt 2):2545-2561. 37. Rittig S, Schaumberg HL, Siggaard C, et al. The circadian effect in plasma vaso-pressin and urine output is related to desmopressin response and enuresis status in children with nocturnal enuresis. J Urol 2008;179:2389-2395. 38. Blum NJ. Nocturnal enuresis: Behavioral treatments. Urol Clin North Am 2004;31:499-507. 39. Bower WF, Diao M, Tang JL, Yeung CK. Acupuncture for nocturnal enuresis in children: A systematic review and exploration of rationale. Neurourol Urodyn 2005;24:267-272. 40. Glazener CM, Evans JH, Peto RE. Drugs for nocturnal enuresis in children (other than desmopressin and tricyclics). Cochrane Database Syst Rev 2003;(4):CD002238. 41. Aventis Pharmaceuticals. DDAVP (desmopressin) package inserts. Bridgewater, NJ: Aventis Pharmaceuticals, 2002. 42. Glazener CM, Evans JH. Desmopressin for nocturnal enuresis in children. Cochrane Database Syst Rev 2002;(3):CD002112. 43. Raes A, Dehoorne J, Van Laecke E, et al. Partial response to intranasal desmo-pressin in children with monosymptomatic nocturnal enuresis is related to persistent nocturnal polyuria on wet nights. J Urol 2007;178:1048-1052. 44. DeGuchtenaere A, Vande Walle C, Van Sintjan P, et al. Desmopressin resistant nocturnal polyuria may benefit from furosemide therapy administered in the morning. J Urol 2007;178:2635-2639. 45. Muller D, Roehr CC, Eggert P. Comparative tolerability of drug treatment for nocturnal enuresis in children. Drug Saf 2004;27:717-727. 46. Glazener CM, Evans JH, Peto RE. Tricyclic and related drugs for nocturnal enuresis in children. Cochrane Database Syst Rev 2003;(3):CD002117. 47. Glazener CM, Evans JH. Simple behavioural and physical interventions for nocturnal enuresis in children. Cochrane Database Syst Rev 2004;(2):CD003637. 48. Glazener CM, Evans JH, Peto RE. Complex behavioural and educational interventions for nocturnal enuresis in children. Cochrane Database Syst Rev 2004;(1):CD004668. 49. Reiner WG. Pharmacotherapy in the management of voiding and storage disorders, including enuresis and encopresis. J Am Acad Child Adolesc Psychiatry 2008;47:491-498. 50. Neveus T. The dilemmas of refractory nocturnal enuresis. J Urol 2008;179:817-818. 51. Neveus T, Tullus K. Tolterodine and imipramine in refractory enuresis: A placebo-controlled crossover study. Pediatr Nephrol 2008;23:263-267.